It doesn't matter how old you are, losing your parents is a devastating experience. My dad passed away in 1999 and Mom passed in 2004. At 36 years old, I was an orphan. I remember thinking it was a silly emotion, but it's how I felt none-the-less. I even considered putting myself up for adoption on eBay. The feeling didn't last long, thanks to two tremendous people. John and Doralice are more than just in-laws to me. They are truly Mom and Dad. They have been supportive parents in every sense of the word since I became a part of the family in 1987. They have welcomed me and loved me as one of their own and I am truly thankful. I am blessed to have them as parents and my children are blessed to have them as grand-parents. 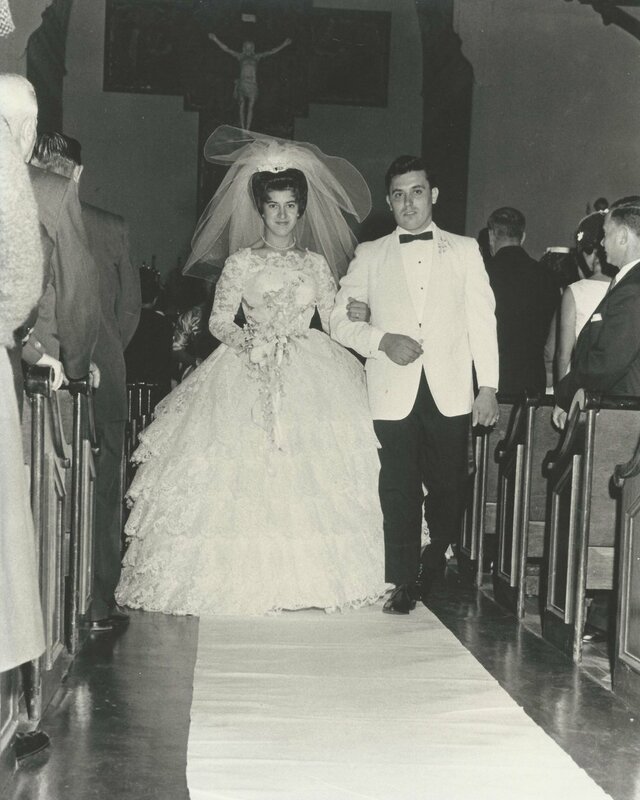 This photograph is from their wedding in September 1964. This year, they will celebrate 50 years of love. When I look at this picture I am struck by the significance. This is the moment it all began. This was the beginning of the wonderful 50 years filled with experiences that have shaped the life I live now. They don't look much different than they did on this day. They have been blessed with good health and I look forward to many more years of moments and memories.